Are you unhappy with the shape of your nose? Do you feel like the focal point of your face outweighs your eyes and mouth? Have you broken your nose in the past, and would you like to have it reconstructed to be symmetrical and aesthetically appealing? Many people feel the same way you do. Rhinoplasty, commonly known as a nose job, is not just for the very rich and famous anymore. You may be able to benefit from this surgery to feel better and more confident about your appearance. There are a few things you should know before you go in for surgery. First of all, are you fit for surgery? 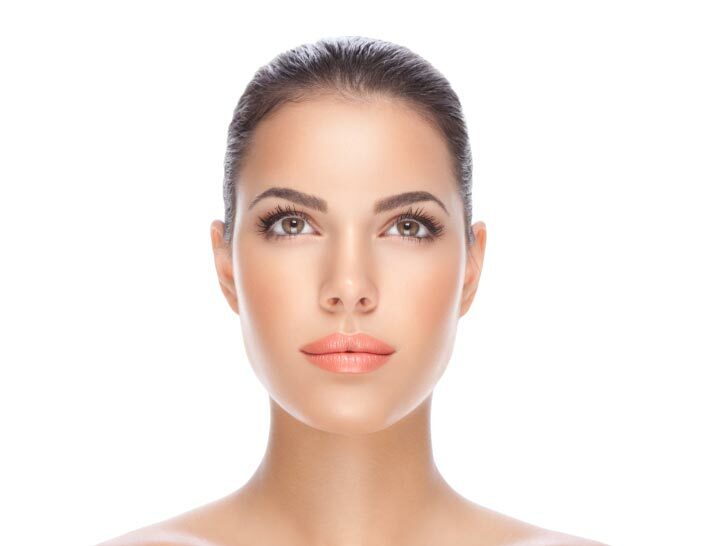 Every facial plastic surgeon you consult with will want to know that you do not have any health issues that would compromise your safety in an elective surgery. If you have any health conditions that might cause a surgeon to worry for your safety, they will require you to get prior approval from your general practitioner and anaesthetist. If you know of any pre-existing condition you might have, you may want to consult your doctor before consulting a surgeon. If you can get approval for surgery before talking with a plastic surgeon, you can streamline the process and move safely forward toward your new nose. Now, when you go to a surgeon for a consultation, they will discuss what shape and size the reconstruction will take. You may have an idea for what you want your nose to look like, but, keep in mind, these people are professionals. The purpose here is for your new nose to look natural on your face. People notice celebrities who go too far with his plastic surgeries. No surgeon wants to be known for doing that to you or anyone else. When you consult with your surgeon, they will construct a shape and size that will look natural and beautiful on your face. After your surgery, you won’t just hop right up and look like a movie star. That’s not to say you won’t look like a movie star once you’ve recovered, but you have to recover first. As part of that surgery, you’ll need to make check-up appointments with your surgeon every three months for the first year and then annually after that. Following up after rhinoplasty you may feel like you don’t need to go, but you should go anyway. This is so that your surgeon can make sure that your appearance is as you like it, and that you’re not going to have any issues with airflow through your nasal passages. The last thing your surgeon wants is for you to compromise breathing capacity because of your surgery. With this information, you should be prepared well for your rhinoplasty. As with any surgery – elective or not – you should get more than one opinion. If your goal for your nose is a drastic change, you should most likely get the opinions of at least two or three surgeons. If one says he’ll do it, but another says she thinks you’ll have issues with your nasal lip relationship, your nasal chin relationship, or your breathing passages, you may want to reconsider the change you’re considering. Consulting with a third surgeon is not a bad idea, either. Above all else, do not rush into this process. You will be living with the result of this surgery for the rest of your life; you want to be happy about that. If you have questions about rhinoplasty surgery, contact your local doctor, who will arrange for you to see a rhinoplasty specialist. If you were to start reviewing the statistics attached to the rate at which teens develop eating disorders it might frighten you – especially if you are the parent of teens. It is, however, not something to ignore. Now, the reasons behind eating disorders are often described as “unknown” or “mysterious”, but it does not require a university degree to see that many young women (and men) develop an eating related issue because of the universal favouritism towards thinness. Pick up a magazine or flip through the television stations and you rarely see men and women who are outside of a specific “type”. Tall, thin, and in very good physical condition seems to be the anticipated norm. The problem is that so many of these people are well below the “norm” in terms of weight and the hours that they spend maintaining that weight. Now, also consider how this sort of cultural perception applies to faces too. For example, if we look back into Ancient Egypt we see that there was a preference for specific types of “hooked” noses (the famous Cleopatra herself was the owner of the “family nose” that was distinctly hooked and not what we would consider beautiful today). This means that, if plastic surgery existed then, thousands of people might go to a physician and ask for Cleopatra’s nose. We scoff at this, but just think of how many teens want Jennifer Aniston’s body or another celebrity’s nose, etc. What all of this tells us is that parents have to consider discussing looks – body and face – with kids at a relatively early point in life. They should ensure that their children understand that there is no such thing as “perfect” or “normal”. This is one way to prevent kids from developing a dislike of their own face or body because it is unlike that of another. It is also important for parents to let kids know that they understand the need to “fit in” and that if a particular facial feature is problematic (a severe overbite, a hooked nose, an overly prominent chin) that there are surgical solutions. The key here, however, is to discuss the need to finish growing before anything is done to the appearance. One way that physicians suggest this is done is by showing a child a photograph of a parent or relation with a similar characteristic, and then showing them that same person when they were very young. This illustrates for the child or young adult just how much the individual appearance changes in less than a decade. For instance, that grandmother who had an attractive face may have had overly large features of one kind or another while they were in their early teens. Showing the unhappy teen that their grandparent “grew into” their features is a good way to help them develop a strong self-image. It is also going to show them that waiting for any changes is practical. Consider too that many physicians flatly refuse to perform any sort of cosmetic procedures before kids reach a certain age. This too has to do with development and the need to wait for growth to slow or cease altogether. Talking about looks in an age when looks seem to be everything is challenging. Letting kids know that responsible physicians can help to amend any issues that make them unhappy is a good thing to do, but also help them to see that their looks (or their own opinion of them) should never be based on the opinions of others, or of society in general. In this age of instant makeovers and even of “extreme” makeovers it can get easy to forget the role that genetics play in our appearance. Just think of how often people hear or say things like “I have my father’s eyes and my mother’s chin”. So, why is it so difficult to accept your great-grandmother’s nose if that is what you were given? There are a few things to know that can help people feel better about a nose that is less than “perfect”, “normal”, “ideal”, etc. Each of these things is not said or used as any sort of manipulation or to convince someone of something – these are facts that should not be ignored when contemplating the nose on your face. No such thing as normal – any historian worth their degree will be able to tell you that “beauty” and “normalcy” are things that change pretty radically over time. For example, the woman who was considered strikingly beautiful during the age of Queen Elizabeth I in England of the 1550s would not be considered attractive at all in this era. Beauty and what people consider appealing or attractive are cultural and are concepts born of their generation or era. Just stop to consider how many celebrities will say that “Marilyn Monroe was fat”. That is because the beauty ideal has shifted in the 60 years since her death. That means that you should never base your appearance, or at least your opinion of your appearance, on what the norms of society dictate. This is not healthy. Genetics are for a reason – we, as humans, evolved over centuries and developed specific skin colours and facial characteristics out of necessity. Though Darwin might not say that your nose is going to make you the “fittest” or help you to survive, it is the result of many eons of evolution. This means one major thing – it is biologically meant to look the way it does. So, if there are no abnormalities in its function and it is not a major impediment to good health and a happy lifestyle, you may want to leave that nose alone. Body dysmorphia disorder – this is a well known and well documented problem in the modern world. It is when someone fixates on a part of their body and allows them to become deeply distressed by it. For example, that friend who is constantly reaching up to her chin or her nose and seeming to conceal it behind her hand…she may be obsessing about the size of her nose, the shape or appearance of her chin, etc. This is something that often drives people to get too many corrective procedures and allows them to feel that no corrective surgery is ever enough. Health issues – now, there are many people who do indeed need some sort of surgical procedure on their nose. This could be because there are anatomical problems that impair their breathing or it could be due to an older injury that was never properly treated. This type of surgery is different from cosmetic surgery and is not often even “elective” in terms of the patient. It is usually a matter of “must be done” rather than “you can choose to do it or not”. So, if you are contemplating some sort of alteration or cosmetic work on your face, why not give these things some thought first? Your physician is going to honestly speak with you about the need for the work and if it is viable, but the end decision is yours alone. Make sure it is really what you want and need. 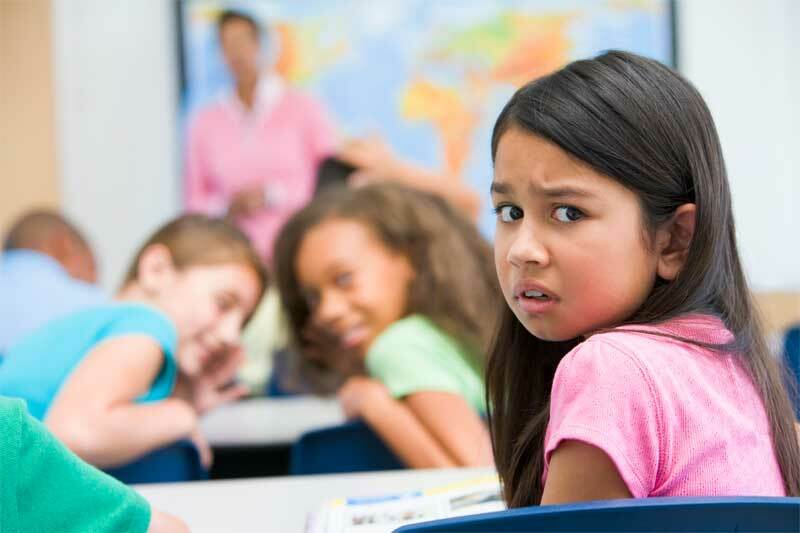 Do you think that the behaviour known as bullying might lead to a health problem? Interestingly enough, it often does. The condition known as body dysmorphia is often brought about by someone focusing too much mental energy on one part of the body and finding that they cannot alter it enough to meet their standards. A high school girl of 15 is told that her nose is “huge”. She knows by looking at her other family members that the family does have a tendency towards protruding and even slightly “hooked” noses. This makes her quite miserable. The bully at school keeps reminding her of her “ugly” appearance each day and soon this girl has decided that she absolutely must get the nose fixed. Her parents want the girl to stop hating herself and agree. One surgery leads to another, and then a third because the girl just feels that the nose is getting uglier and uglier. This, however, is all inaccurate and is a case of body dysmorphia brought about by bullying. We tell this to you because it is imperative to understand that bullying is now such a massive and widespread issue that anyone can become a victim. And we mention this because so many people have started changing their appearances because of constant bullying. This tells us that there is literally no way that we can escape bullying, and if that negative attention is directed at our appearance it is only a matter of time before we ourselves start to believe the lies. For example, the girl in question is a perfect example of the end results of bullying. She had to hear from the bullies, from her friends, through social networks, and even in her daily commute to school that her “oh so offensive” nose was not acceptable. This was all ridiculous, and even her surgeon told her that there was nothing structurally wrong with her nose. The septum was great, respiration was uninterrupted, and nothing was needed to keep the nose functioning optimally. Sadly, so much of that changed when she did get the surgery because too many surgeries can lead to deterioration of the tissue. We have all seen what happens when celebrities get a little too fixated on their lips or their noses. And a good surgeon would never allow such a thing to occur. So, this means that we cannot take a bully at their word, and we must certainly work only with a physician who gives us an accurate response to the request for cosmetic work. While it is a matter of free choice to get something like rhinoplasty (nose surgery) done, a good doctor will advise against it if it is clear that body dysmorphia is at work. For example, if the patient is under the age of 18, a physician is going to ask them to seriously consider the long term impact of the choice to alter their own appearance. They might also ask the patient to discuss when and why they decided to make the decision. In the example of the girl being bullied, the physician may have failed to ask the girl precisely why she decided to alter her nose. Perhaps if that doctor knew that the girl’s view of herself he or she might have advised her against it and instead instructed her to wait and even consult a counsellor to discuss the matter. If any of this sounds familiar, it is best to wait until the bullying has stopped to make a decision. VIENNA GIRARDI was the winner of the 2010 season of the reality dating show “The Bachelor.” What she won, albeit briefly, was the heart of Jake Pavelka. The pair have since broken up — she says because of his lust for fame; he says because she’s a liar. I didn’t know any of this, or who Ms. Girardi was, until I read a headline about the nose job she procured for herself in July, at which point she was added to the list of celebrities I am obsessed with because of their nose jobs (Jennifer Aniston, Tori Spelling, Heidi Montag, Ashlee Simpson, among others).